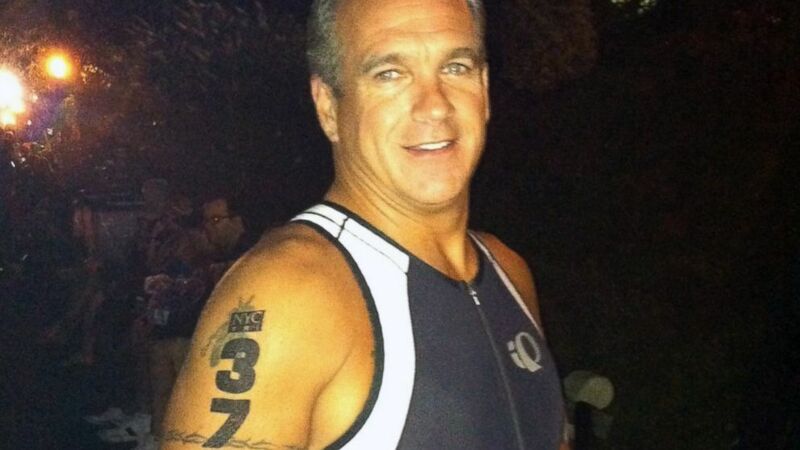 Chris LePak's heart stopped as he swam the Hudson River during a triathlon. Chris LaPak died in August. Lifeguards at the New York City Triathlon noticed that he stopped swimming in the dark waters of the Hudson River, and pulled his body onto a surfboard. The fact that he woke up five days later and is alive today is a "miracle," he said. A series of miracles, really. "I'm on borrowed time," LaPak, 53, told ABC News. "My heart stopped, and it remained stopped anywhere between 11 and 13 minutes." LaPak's heart stopped in the water at around 7 a.m. that morning, but his heart attack actually happened days earlier, causing him to have an irregular heartbeat, doctors later told him. He thinks it happened during a hot yoga class because he remembers terrible chest pain and shortness of breath, he said. But he ignored it. Both his parents died of heart attacks in their 50s, but LaPak was a self-described "workout maniac." "I work out so much," he said. "I think subconsciously I thought could beat this whole thing." (Courtesy Chris LaPak) Chris LaPak says the fact that he woke up five days later and is alive today is a "miracle." A series of miracles, really. According to the American Heart Association, 359,400 people went into cardiac arrest outside of a hospital in 2013. The survival rate is 9.5 percent. Heart disease is the number 1 cause of death in the United States, claiming 787,000 lives in 2011. A lifelong athlete, LaPak had run three marathons and trained with an Olympic swim coach for six months before the triathlon on Aug. 3 -- an Olympic-length triathlon consisting of a 1.5 kilometer swim, 40K bike ride and 10K run. He said he remembers very little about the events leading up to his cardiac arrest. 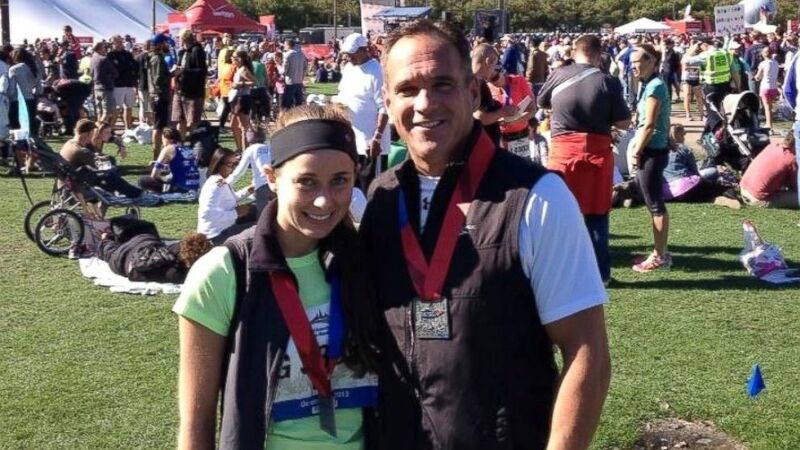 He recalled snippets of getting ready for the race the night before, but the next thing he knew, he was waking up in the hospital five days later. Lifeguards on surfboards spotted his body in the water and pulled him onto a surfboard, taking care to keep his head above water. They took him to a jet ski and then a fire department boat before making it to the dock, an ambulance, Roosevelt Hospital and, finally, Mount Sinai St. Luke's Hospital. There, doctors learned that his left anterior descending artery was 100 percent blocked, but realized they needed to save his brain before they could fix it. (Courtesy Chris LaPak) Chris LaPak died in August. Lifeguards at the New York City Triathlon noticed that he stopped swimming in the dark waters of the Hudson River, and pulled his body onto a surfboard. Dr. Eyal Herzog happened to be at work that Sunday, and followed protocols to cool LaPak down to 33 degrees Celsius, or 94.1 degrees Fahrenheit, to protect his brain and give it a chance to recover. They cooled him quickly and then warmed him back up slowly over about 16 hours. Five days after the attack, LaPak opened his eyes, and Herzog asked him simple questions. Could he read a clock and tell him what time it was? Did he know the names of his family members in the room. "Everyone was in shock," LaPak said. "My family and friends had been told there was a less than 10 percent chance I was going to live. And if I did, there was a 95 percent chance I'd be brain dead." He underwent a double bybass surgery and is now back to running 10 or 12 miles several times a week, he said. When he reunited with the team of people who saved him several months later, he learned that no one whose heart has stopped in the Hudson River has ever survived. He said he'll always have a bond with the people who saved him. "They never gave up," LaPak said, adding that the experience has taught him to slow down and savor his life a little more. "They never quit on me. They gave me an opportunity to have more life and to see my two kids get married and have kids." Learn about heart attack warning signs here.